Isofix is a method of attaching a child's car seat directly to the chassis of the vehicle, rather than securing it with a seat belt. First off a very basic explanation - young children are too small sit safely in standard car seats. They need to be securely held in a special seat, which in turn has to be tethered to the vehicle. In the past this required wrapping a seatbelt through different points on the child seat before buckling it in, a solution that was often complicated and lead to the risk of improper and potentially dangerous installation. Isofix helps alleviate this problem by simplifying the process. 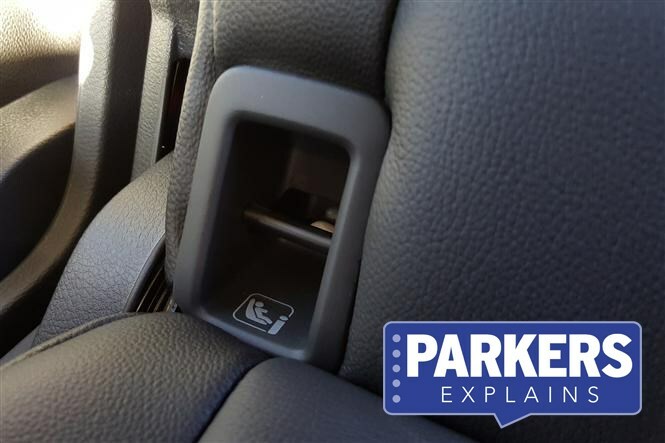 A special base locks into two hard mounting points at the bottom of the car's seat and the child seat in turn locks into the base. When you're at your destination, it's simply a case of unlocking the seat and carrying it away. No messing around with seat belts required. There's also an adjustable leg that must be able to reach the floor of the car in order to brace the car seat. All three contact points have a failsafe display window to show if the base is installed properly, usually coloured green if you've done it right and red if not. Do you have children? If so then it's likely you (and they) will benefit from an Isofix system. They generally cost more money but are easier to use and there's less chance of you installing it wrong. For more information on the changeable, nitty-gritty detail of UK child seat law, check out the Government's guidance here. All new cars and many produced in the past 10 years. You can also have it retro-fitted to some older cars.